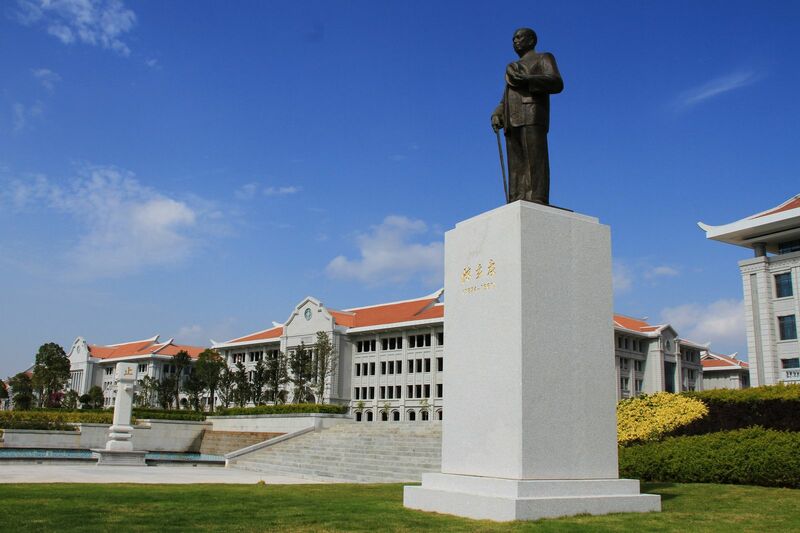 Xiamen University was founded in 1921 by Tan Kah Kee, the well-known patriotic overseas Chinese leader. It was the first university in China founded by an overseas Chinese. At present it is the only key comprehensive university directly affiliated with the Education Ministry in any of the five special economic zones and is one of China 's higher-level universities designated for the state key construction of the “211 Project” and the “985 Project”. With its 18 schools containing 45 departments and a group of research institutes, Xiamen University has a high-standard staff of 2,213 teachers, with professors and associate professors. The university now has a total enrollment of over 3, 3000 full-time students on campus, including 18,989 undergraduates, 10,591 master students, and 1,810 doctoral students. In 2005, Xiamen University passed National Undergraduate Teaching Assessment with a result of all excellence. Up until now, it has set up more than 80 research institute, which ensures its outstanding achievements in scientific research, especially in humanity, sociology, Taiwan research, South Asia research, economy, and accounting, etc. Xiamen University has established inter-university cooperative ties with over 100 institutions of higher education outside mainland China. In 2005, over 1600 long-term and short-term overseas students studied here. 2001: listed under the "985 Project"
2004: granted status of "National vice-ministerial university"
University Motto: "Pursue excellence, strive for perfection"